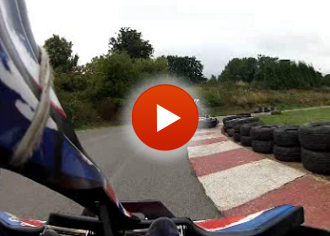 Tucked away just alongside the A3 in leafy Surbiton is one of the oldest kart tracks around. The Surbiton Raceway has been running since 1962 and is a fully floodlit, fully licensed venue and is ideal for those looking for a good corporate event. 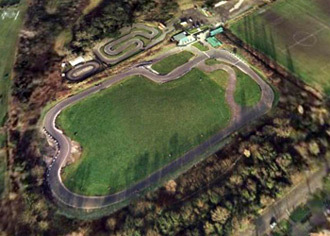 The track can easily hold 15 karts and there are a range of formats from arrive-and-drive right up to 4-hour endurance races. At the Tolworth roundabout take the A240 towards Worcester Park then turn left in to Worcester Park Road. As the road bears right turn sharp left into the sport ground and the circuit is well signposted. An opportunity for adults and children from the same family group to drive together at the same time- this event may not available during busy periods. For larger groups of 17+ drivers: 10 minutes practice qualifying. B final for slowest drivers with medals for top 3 drivers and A final for fastest with trophies for top 3 drivers. Two sessions, first third of the race is a practise then on to qualifier. Fastest lap qualifies for front of the grid. From the grid start you are competing to complete the most laps in your remaining time. Trophies for top 3 drivers. With a licensed pub and a burger bar on site Surbiton raceway is a great place to spend some of your final hours of freedom. Contact with your group size and we will provide a selection of options. Ideal event for younger teens aged 11 - 14 years. 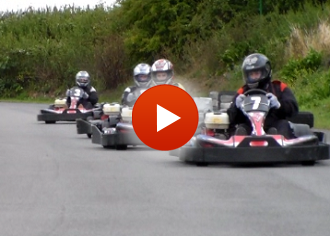 Starting from 4 karts for 1 hours driving - various formats to suit your party size. There are conference facilities for 150.